Inspections are incredibly daunting. 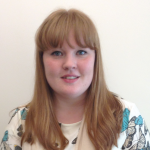 This blog has been taken from Preparing for an Ofsted Inspection by Tim Nelson. It looks at the steps to take from the initial phone call. You can see sample pages or purchase the book here. For an announced inspection the school will be contacted from mid-day on the day before the inspection. The inspection support administrator will contact the school to notify them of the inspection and arrange for the lead inspector to then phone the headteacher or principal. Although this is short notice, the notification period should enable the principal/head teacher and other key personnel to be on site for the inspection. Remember: This is the first contact between the setting and the lead inspector. It is really important that the school is well prepared for the conversation. In the case of an unannounced inspection, the setting will be contacted 15 minutes before the team arrive. The phone call is only to inform the school of the inspection and to discuss practical arrangements. Ofsted will normally contact the school by telephone to announce the inspection during the afternoon of the working day before the inspection. whether the school has any SEN or additional resource provision. If the headteacher is unavailable when the notification call is made, Ofsted will ask to speak to the most senior member of staff available. Once Ofsted has informed the school by telephone that the inspection will take place, it will send confirmation to the school by email. Establish whether the school has any pupils who attend off-site alternative provision, either full-time or part-time. Inspectors must ask the school about the registration status of any alternative providers that they use. Any provider of alternative provision must be registered as an independent school if it caters full-time for five or more pupils of compulsory school age, or one such pupil who is looked after, has an education, health and care (EHC) plan or has a statement of special educational needs. provide an opportunity for the school to ask any questions. establish whether the school is either providing support for other schools or receiving it. If so, inspectors should include this information, giving the names of the school(s), in the ‘information about the school’ section of the report. This should include any such activity over the previous 12 months. Where a school has received support from the leader of another school, it will be important to establish the extent and the impact of this, to determine whether that leader should be nominated for recognition by HMCI as an exceptional leader. For more information on Inspections, keep an eye on the Focus Education blog, find us on Twitter @focuseducation1 or get in touch with the Focus Education office on 01457 821 818. 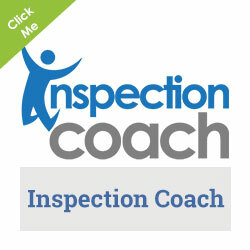 Inspection Coach is an exciting new online software that combines top quality consultancy with state-of the- art technology to simplify the process of school self-evaluation. Created by leading school improvement consultancy firm, Focus Education and award winning software developers, 2eskimos, Inspection Coach has been created to take the pressure off school leaders, dramatically reducing the time & effort involved in self-evaluation giving you more time to spend actually running the school.